Whatever your skill level, the Ranger 162 won’t disappoint; its relatively flat hull is remarkably stable and allows beginners to progress with confidence or intermediates to push their limits and reach the next level, and thanks to the low profile design you won’t have to fight to stay on course if the wind picks up. The Venture Ranger 162 really will do it all, and reliably too! You can enjoy a tandem trip down a gentle river, take on some whitewater, pootle around a calm lake with the kids or even lash two Ranger 162s together, load them up and construct a sailing A-frame to blast off on an epic adventure with your closest friends. 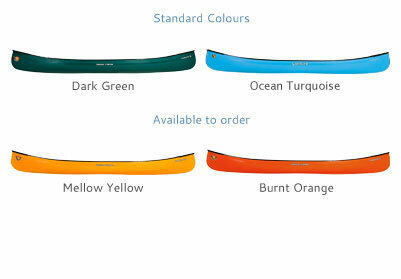 The CoreLite X Ranger 162 is a solid investment as a first canoe or part of a fleet; you get all the same benefits as standard CoreLite, as well as an impressively stiff hull that offers crisp and clear performance, a weight reduction of approximately 4kg that means even younger paddlers can handle it both on and off the water, and increased durability that means it’ll take paddlers right through from their first paddle strokes to the biggest trips of their lives.